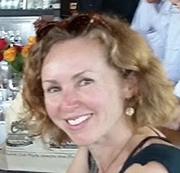 Julie Anderson shared her experiences teaching English during China’s capitalist revolution of the early 1990s in “It Cannot Be Conceived,” a Pushcart-nominated essay in our recent “Maps & Legends” issue. Now take a look further back into Ms. Anderson’s past, to a summer spent interning in the pearl department of Tiffany’s famous jewelry shop. Once again Julie is a fish in somewhat brackish waters; coming from a middle-class background, with private high school paid for by her mother’s secretarial job, Julie was thrust into the glamor (soi-disant) of rich girls waiting to marry well. The result, in signature humor, has been published in WebdelSol’s “Writers on the Job” feature, curated by Walter Cummins and Thomas E. Kennedy–and soon to be part of an anthology for Writers on the Job. Herewith we proudly present an excerpt from Anderson’s essay and a link to “WotJ.” Clink on the box to access the web page, then scroll down till you reach Julie. Even if you haven’t seen Breakfast at Tiffany’s, you probably know the opening scene: Audrey Hepburn emerging from a yellow cab, wearing a long black evening gown with a quadruple strand of pearls around her swan-like neck, making her way to one of Tiffany’s windows and gazing longingly at the diamond bracelets displayed inside. 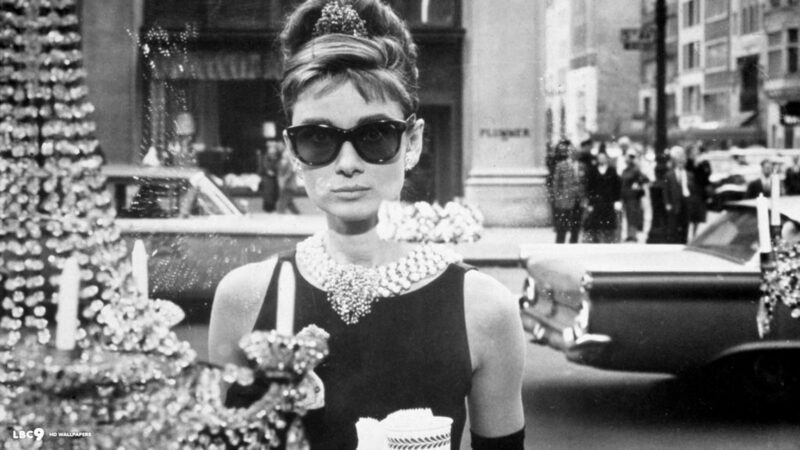 The allure of Tiffany’s is indisputable. As a child, I used to love going on trips with my mother and sister from our tiny Bronx apartment all the way down to 57th and 5th to see my mother’s friend, an employee at the famed jewelry store. The emeralds, sapphires, and rubies glittering in Tiffany’s display cases mesmerized me. But what really got my attention were the diamonds, especially the Tiffany Diamond, perched in its own special case inside the store, embedded into one of the walls behind a thick pane of bulletproof glass. The Tiffany Diamond was a huge, 128-karat affair that threw off every color imaginable. I’d stare at it, lost in its endless refractions of light, until my mother eventually had to drag me away. Tiffany’s box image by Adweek. Audrey Hepburn image by culto.latercera.com.